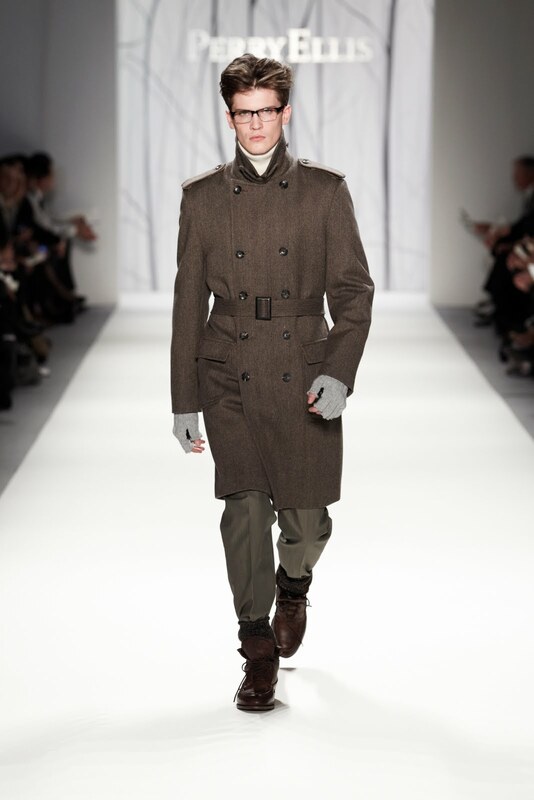 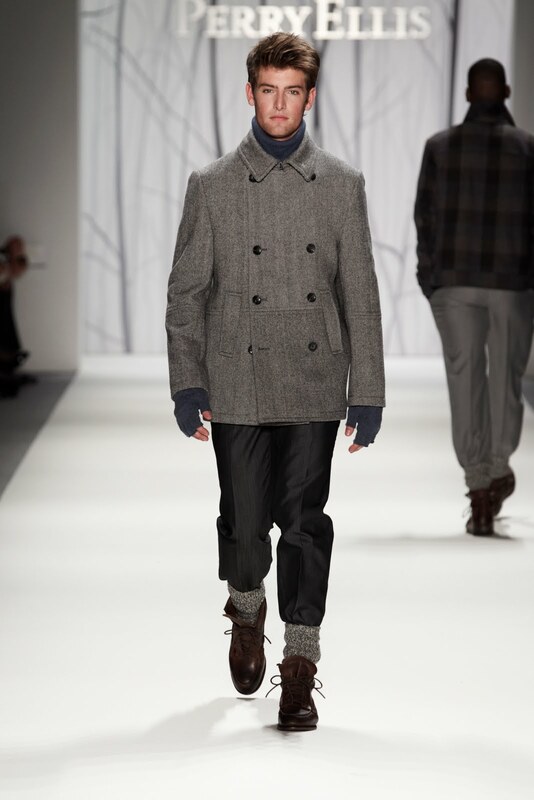 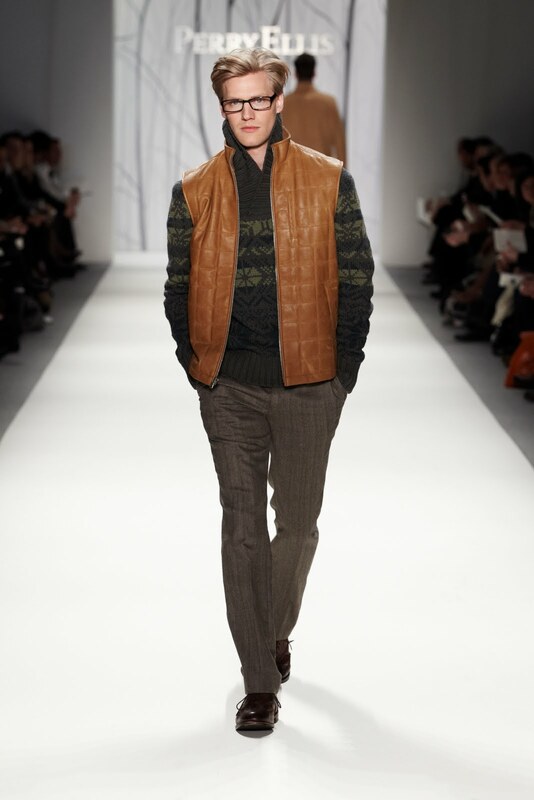 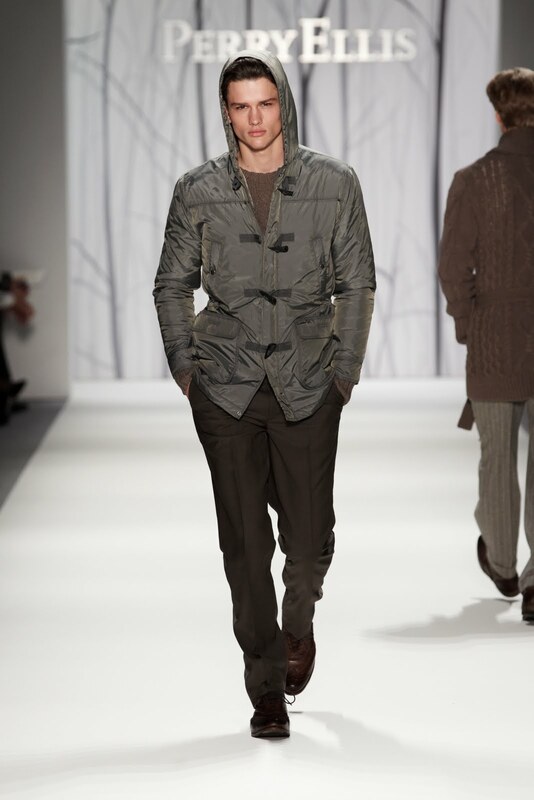 True Fashionista Now > Uncategorized > Perry Ellis F/W 2011 Collection. 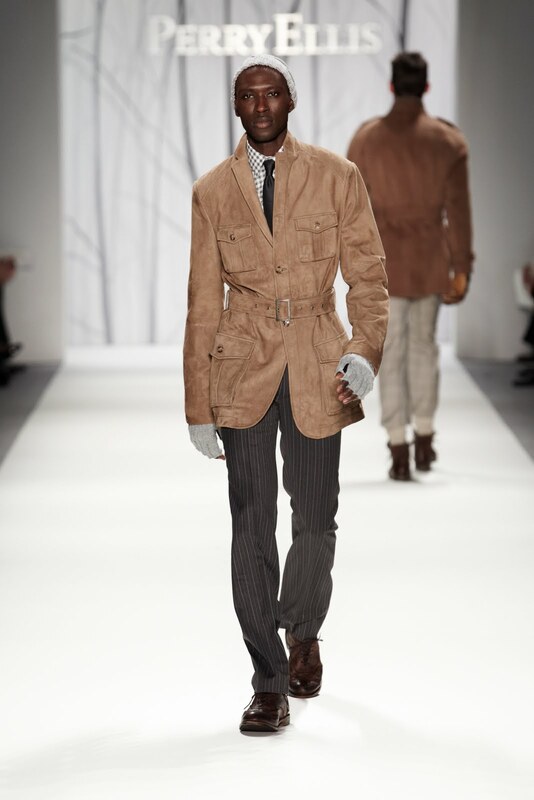 I attended the showing of Perry Ellis’s F/W 2011 Collection during fashion week and my immediate reaction is that of pure ‘Style de Americana’. 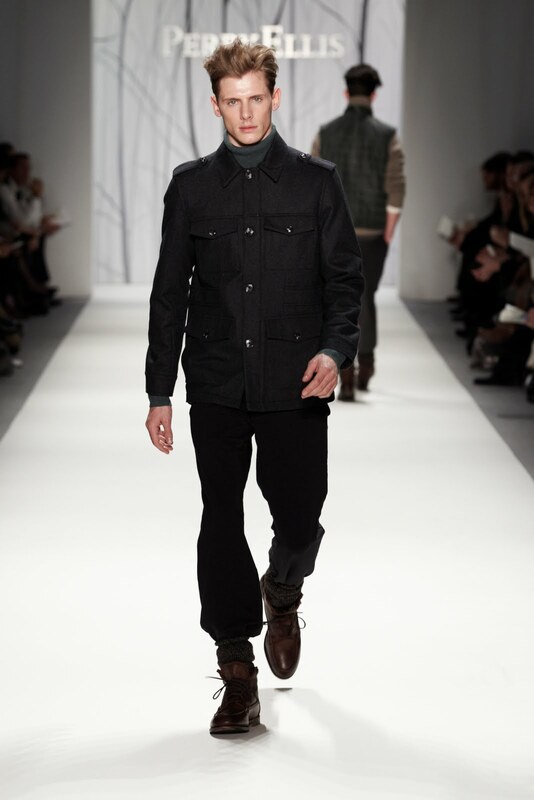 There are many new fashion brands that have filled the niche demand of American style while Perry Ellis may not have existed. 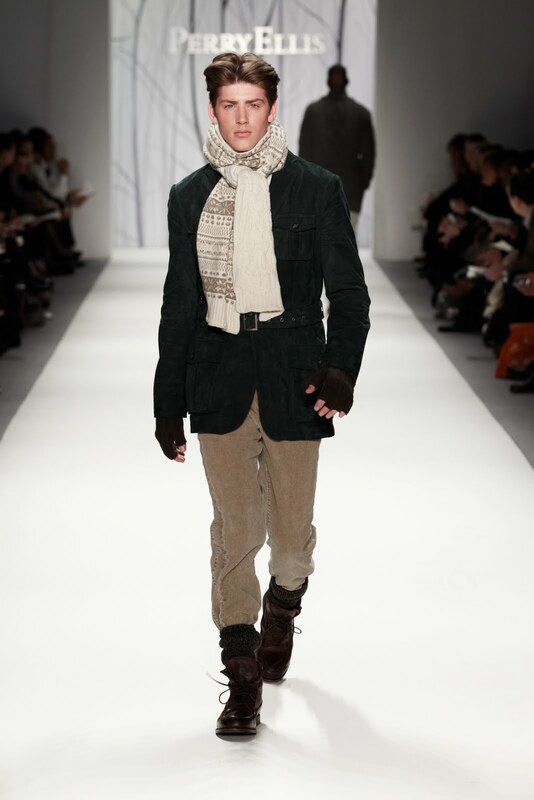 But we will have to wait and see what new Creative Director, John Crocco has in mind for its future. 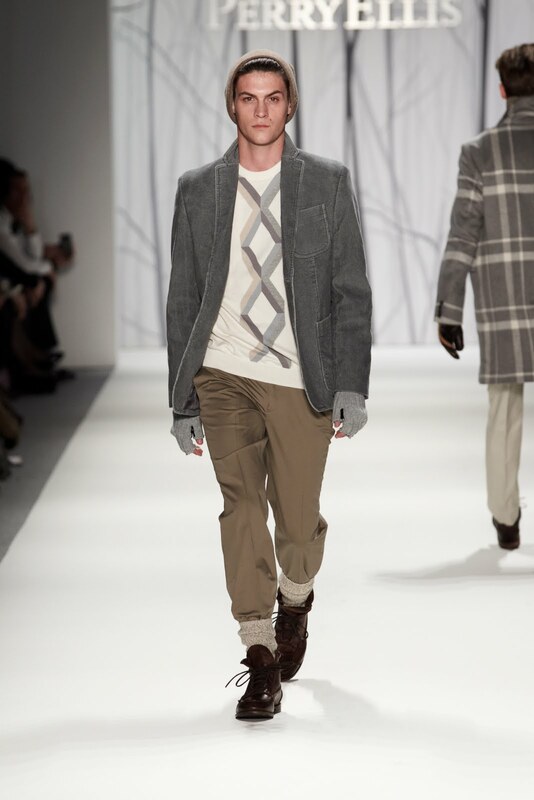 And don’t call it a comeback because I hate that word; tones of charcoal greys, olives, brownstones, castlerock and shiitake, created the color mood for the looks. 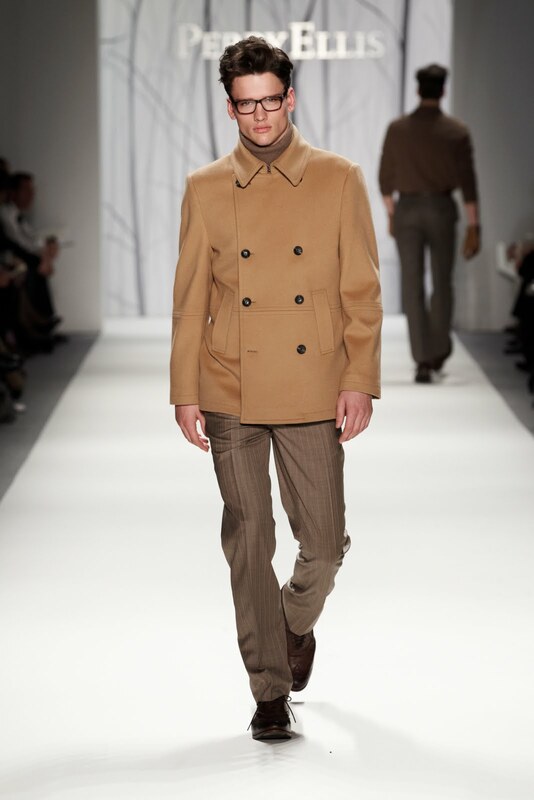 I wasn’t wild about a wool herringbone trench coat or a nylon toggle coat but wowed by a camel wool peacoat paired with a shiitake lambswool turtleneck and brownstone worsted cashmere striped trouser. 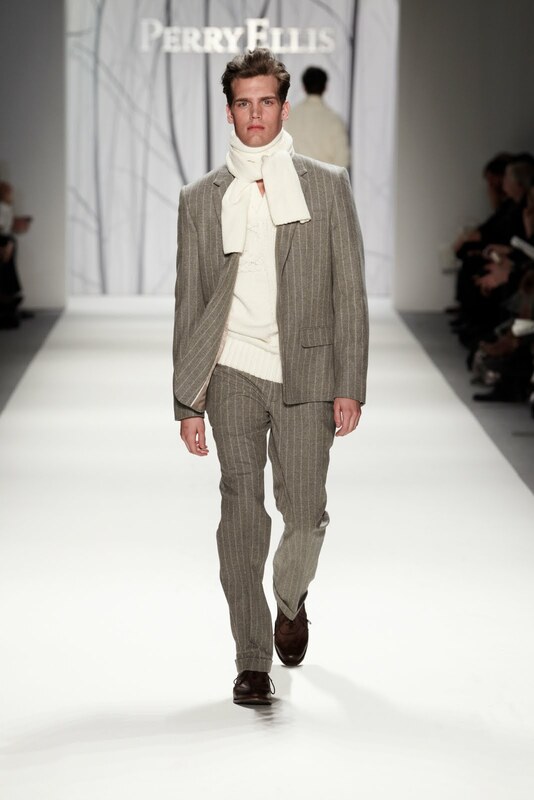 Other looks that oozed with comfort and fall arrival was, a pewter heather, wool/cashmere chalkstripe suit worn with a vanilla cotton scarfneck sweater. 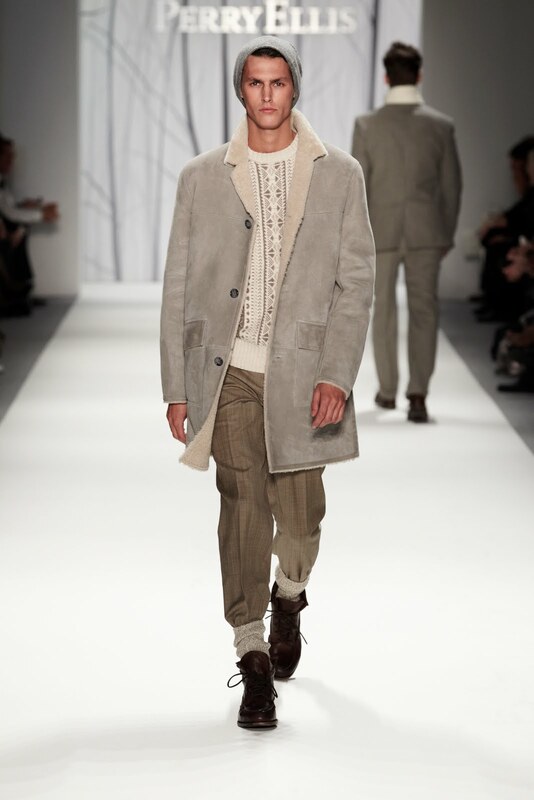 I am excited to see future collections from Perry Ellis with John Crocco in lead because I believe he will transition to a new image of the Perry Ellis man with looks that can be more inclusive of layering. 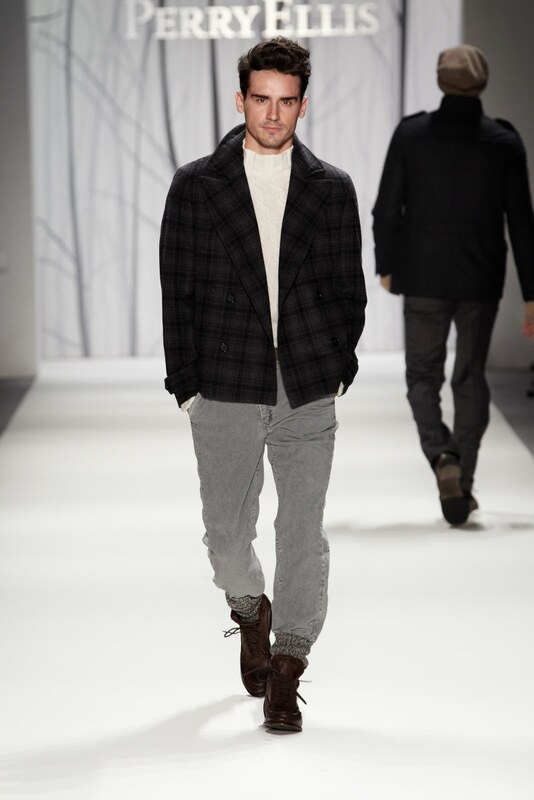 This is because with one of the looks; a iron heather wool plaid topcoat worn with a brownstone, cotton/wool textured shawl collar and stone cotton cavalry twill trouser, is a trend that is very reminiscent of fashion’s twentysomethings. 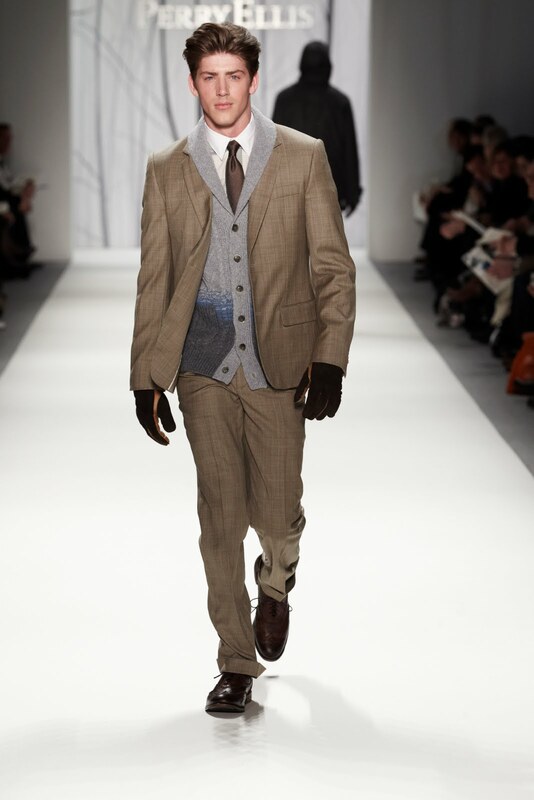 I say this only because, there was a time when only men of a certain age was associated with Perry Ellis and the suits, but not anymore. 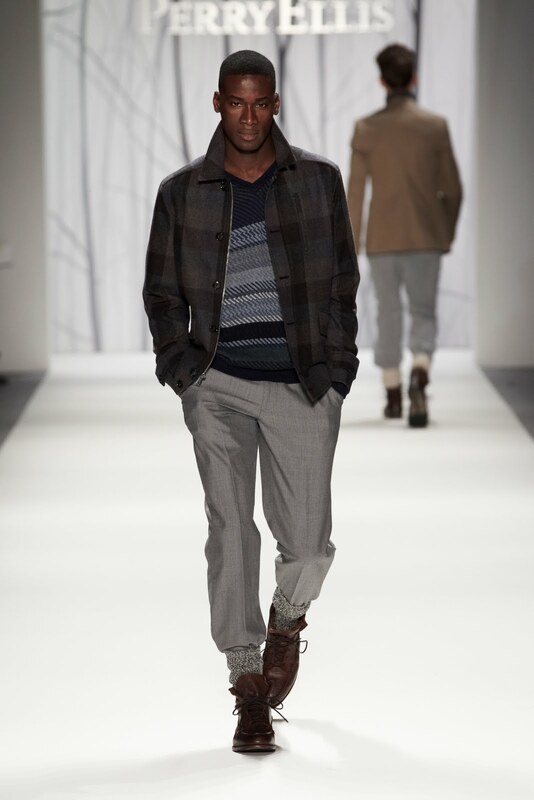 The looks of Perry Ellis collection continues with the tradition of the American style that we are used to and even more, with plaids that are new this season and brownstones and charcoal greys that fashionistas will get plenty of for fall. 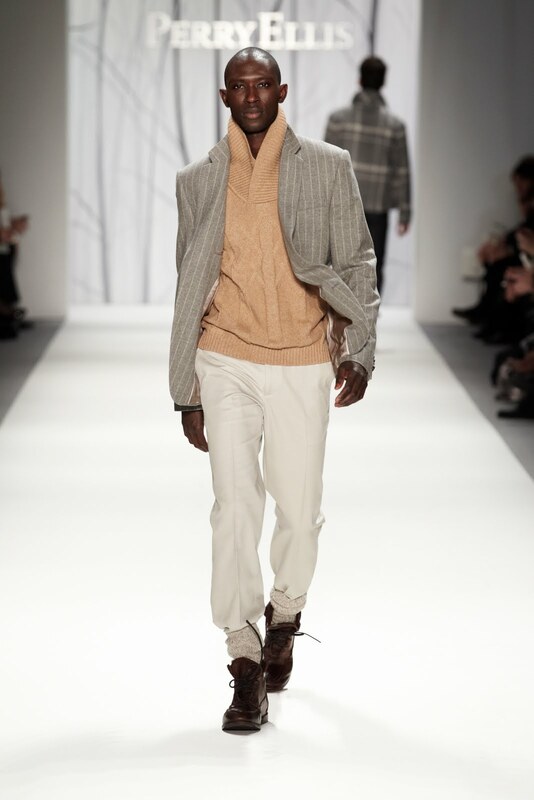 Follow Perry Ellis on Twitter. 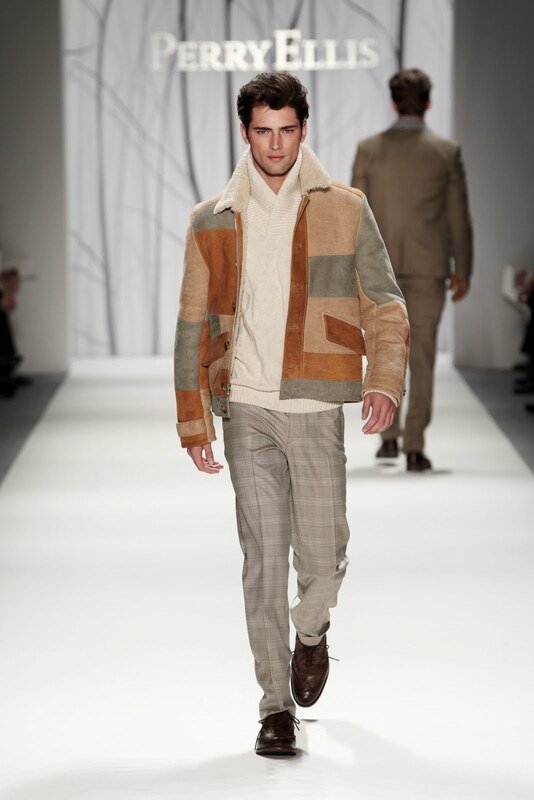 Like Perry Ellis on Facebook. 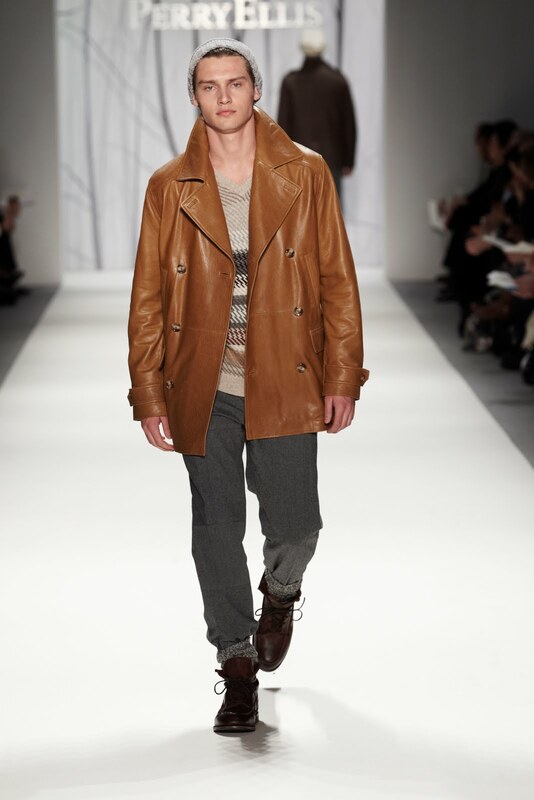 Follow Perry Ellis on Foursquare. 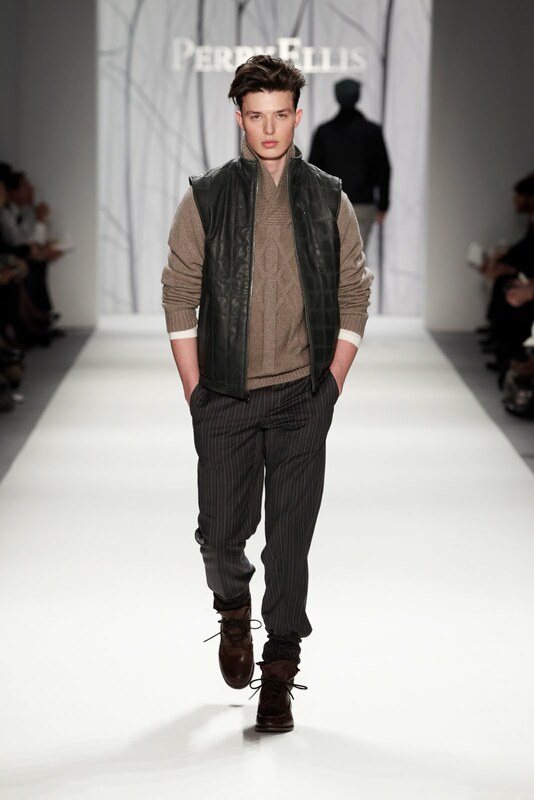 The VA-G Collection is Style That’s Visually Fashion Forward.